Musician's dystonia is a form of task-specific focal dystonia characterized by muscle cramps and spasms that occur while playing a musical instrument. This condition can affect amateur or professional musicians, and the location of the dystonia depends on the instrument. Some musicians (such as piano, guitar, and violin players) develop focal hand dystonia, which causes loss of fine-motor control in the hand and wrist muscles. The customer allowed us to share the photos of her flute, which you will see below. Although it is a Powell, the modifications on the instrument were done outside of Powell. 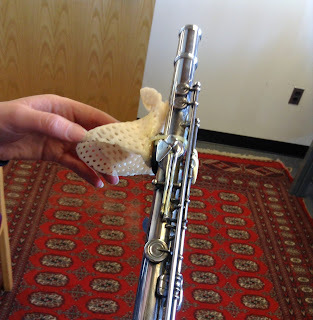 As for the task of an overhaul on the instrument, Rachel told us that it should be pretty straightforward since the extensions and "crutch" for the left hand are removable. She said that this is particularly helpful if the customer wants to sell the flute at any point. You'll notice below that the thumb keys have also been modified, and although these modifications (unlike the others for the left hand fingers) are permanent, Rachel said that she would still be able to remove these keys to perform the overhaul. 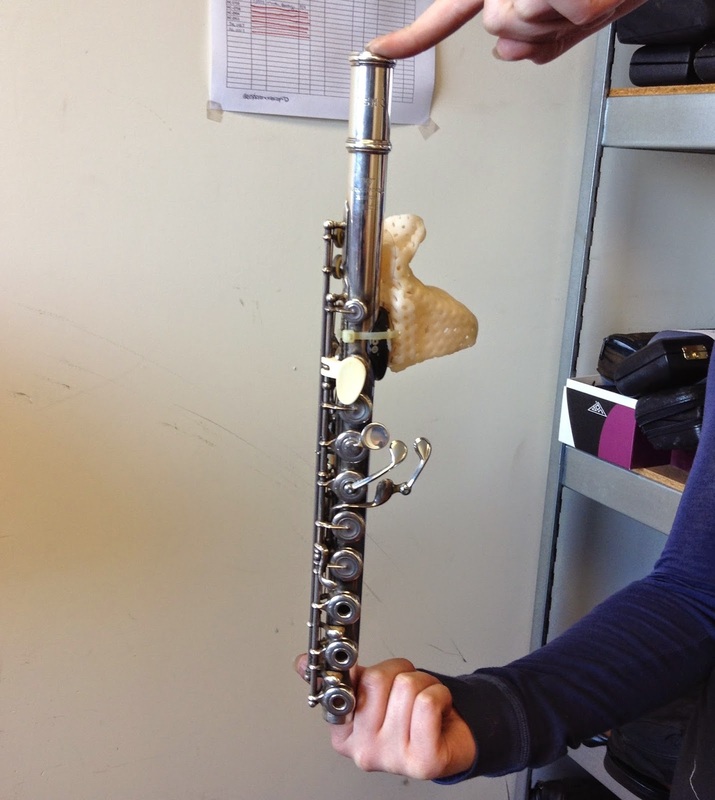 With the modified flute, the customer is able to play comfortably despite her focal distonia. She hoped that we would share the images so that others with the condition will know that it is possible to continue playing! For more information on focal distonia, follow this link to the full page on the National Institutes of Health website. 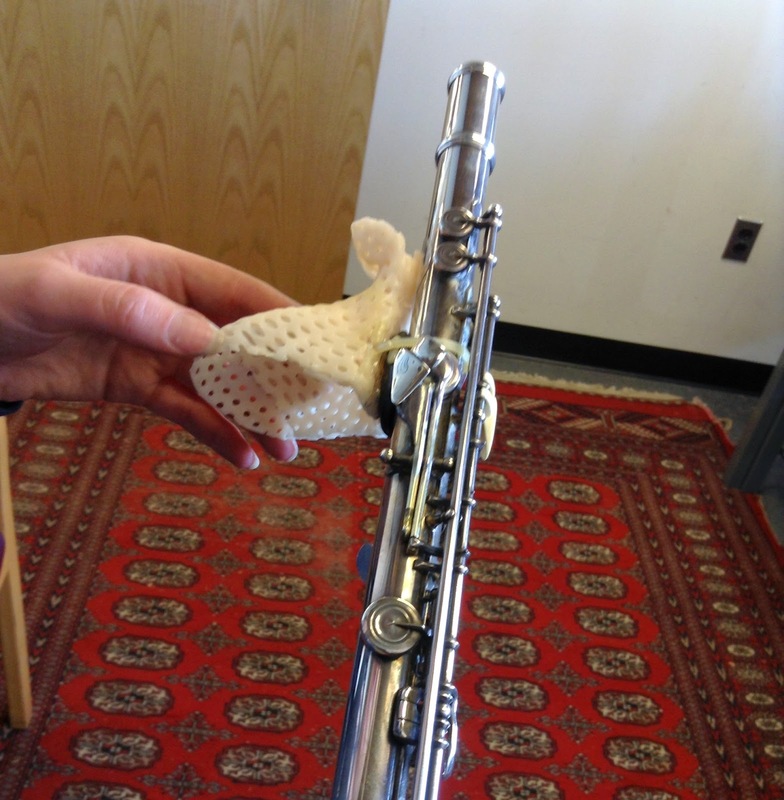 Front of flute has removable extensions and "crutch." Rachel demonstrates the left hand position with the extensions. Hi! Thank you for this post! I would like to talk to this person about her left hand crutches. It looks as if this might be able to help me but I can't seem to figure out what material is being used.